Fall foliage, contrary to what everyone may tell you, is not just a New England thing. For most of the country there are great places to see leaf color change not too far away. While New England has been most famous for its foliage, other parts of the country have equally stunning leaf color with mountain backdrops, rock canyon vistas, lakeside scenes, or sprawling vineyards. Intro image of fall foliage available at AllPosters.com. Often overlooked are the southwestern states for foliage, but it's a great time to visit or view the foliage. Northern Arizona, New Mexico and and southern Utah, including the National Parks, will peak in mid-October. This means cooler temps in the desert region, making for easier hiking and the bonus of fall colors added to the already wide spectrum of red and brown canyons. Try Arches, Zion or Canyonlands National Park in Utah, or the red rocks of Sedona. Northern Utah, western Colorado and western Wyoming will peak in early October/late September. 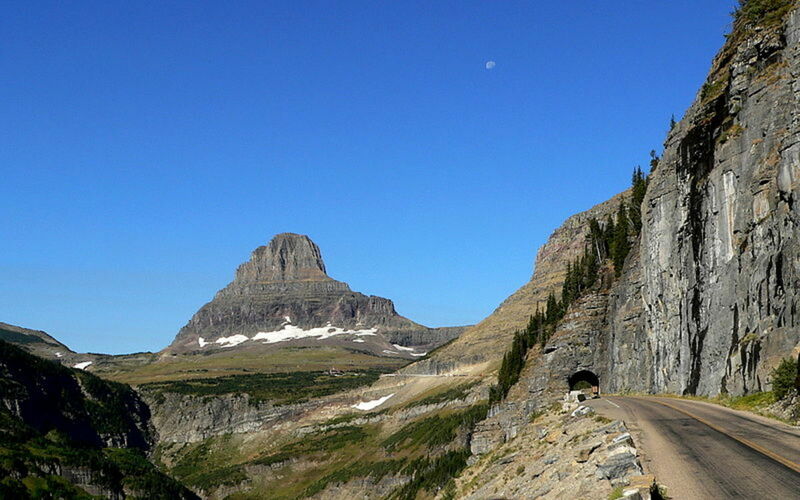 Here you'll find the beautfiul parks of The Grand Tetons, Yellowstone, the Rocky Mountains (and Rocky Mountain National Park), and more, along with Salt Lake City and the grand views of Hells Canyon in Idaho. What's your Favorite Place to See Fall Foliage? 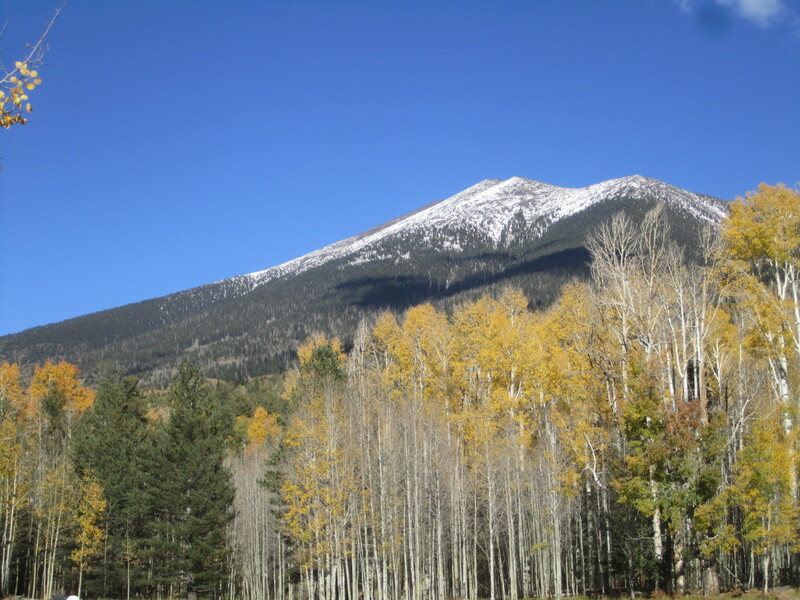 Foliage in Arizona is mainly concentrated in the northern area, near Sedona and Flagstaff. You wouldn't think you'd have much of an opportunity to see fall color in New Mexico, but you do! Where to find the best foliage in Texas...it does exist! Perhaps the most underrated fall foliage state, Utah boasts incredible leaf color. What better time to visit Colorado than fall? You'll find amazing sites and color in the early fall months. Let pictures tell you how great Napa Valley is in the autumn months! Another reason to visit Northern California in the fall is Yosemite National Park. Washington, Oregon, and the inland areas of northern California, including Napa, Lake Tahoe and Yosemite National Park will peak much later, in mid-late October. Here you'll find a wide variety of colors including the intense purples and reds from Napa and Sonoma harvest, the beautiful contrast of Yosemite National Park's granite rocks and multicolored leaves, and the always fun, intriguing Lake Tahoe. Also, you'll see some color in inland Oregon and Washington. Recommended Fall Foliage Books - Find the best fall foliage hotspots and photos! Fall foliage is something that lurks everywhere on the east coast, in pockets and hidden spots. 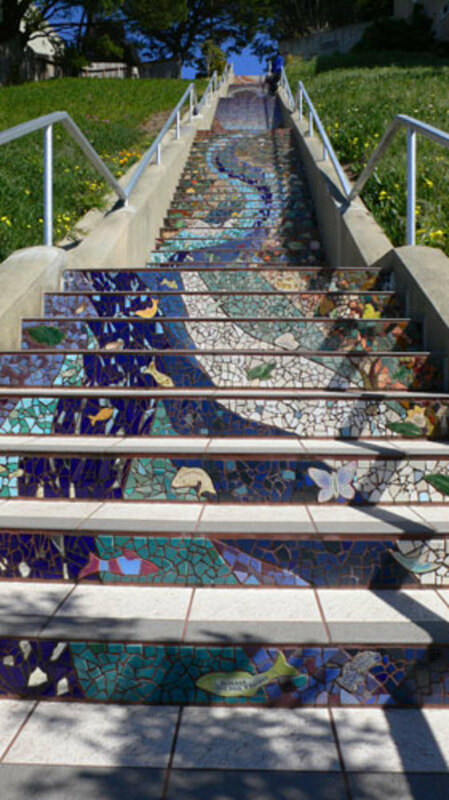 You can find it on a creek, near the ocean, high in the mountains, or in the center of a busy city. These books will give you an idea on where you can find these leaf peeper hot spots all across the United States. Skip over to the midwest and you'll find more foliage in mid-October in the states of Iowa, southern Minnesota, Illinois, Indiana, Ohio, Pennsylvania and West Virginia. The Appalachian Trail is beautiful and worth the ride, you'll see gorges, orchards, scenic trails, and mountains...this part runs along West Virginia and features several large parks and scenic areas. Which national parks would you visit for fall foliage? The Northern Midwest, the Great Lakes Region, peaks in early October. This includes Wisconsin, northern Minnesota, the northern Michigan peninsula, and northern Michigan. The Great Lakes area has some awe-inspiring water views, lighthouses, rocky cliffs, sand dunes and pine forests. A visit to Sleeping Bear Dunes in Michigan or Pictured Rocks National Seashore will greet you with beatuful contrast of the sienna grass against the rocks and light blue autumn skies. often peak before lower ones. If you're headed near any mountains, you'll notice the base is much more green in the early fall than the top. If you're looking for a long, relaxing, yet utterly breathtaking drive to see fall colors, there is no drive better known than the Blue Ridge Parkway. This road traverses the mountainous border between Tennessee and North Carolina, and covers a majestic 469 miles. That's more miles than driving from Boston to Washington D.C.! The Blue Ridge Parkway also has the benefit of being a late bloomer in fall color, peaking in mid to late October. That's a few weeks beyond the peak times of the northeast, so you can space out your journey from your recent summer vacations. The main purpose of the Parkway is to connect Shenandoah National Park and Great Smoky Mountain National Park, and offers gorgeous in late October. Along the route and nearby, you'll find small towns like Blowing Rock Brevard, and Asheville. Above: Linville Gorge, North Carolina, near the Blue Ridge Parkway. Northern Georgia, Alabama, Arkansas, Mississippi and South Carolina won't peak until early November, just before Thanksgiving! There's still plenty of foliage down south. Most of Kentucky, Tennessee, Virginia, and North Carolina will peak in late October. However, the Appalachian area will peak a few weaks earlier in early-mid October. The Blue Ridge Parkway and the Smoky Mountains are a favorite area for fall foliage, with the breathtaking mountain views, rolling autumn fog, and countryside appeal. Visit Smoky Mountain National Park for the ultimate experience. 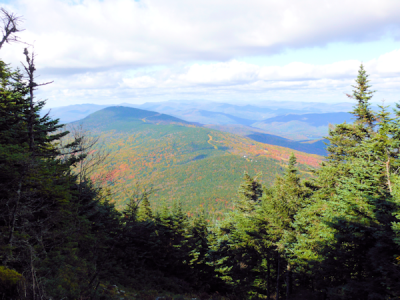 Peak foliage times vary yearly, and often vary greatly within short distances. A town 20 miles from where you are may be experiencing its peak, while the town you are in may be fully green. Check the foliage finder here. It's just not true that foliage can only be seen in the northeastern states of the USA. Great fall color can be seen throughout the country, from Northern California to the Western Carolinas, even into Georgia! Below are some great spots for leaf peeping in the South, including one of the best in the country, the Great Smoky Mountains. What, where and when of fall foliage in Smoky Mountain National Park. Foliage in Chattahoochee-Oconee National Forests of Georgia. Best in the upstate region, you can view great color in South Carolina. Even Alabama looks better in the fall! Virginia has some excellent autumn leaf color to see. The Foliage Network is a great place to get started and find great fall foliage info. It's updated weekly with leaf changes in the state. You won't find much foliage in Florida, parts of Texas, most of Southern California, Lousiana, Southern Arizona, Southern New Mexico, and along the coast of the the Carolinas, along with the Badlands stretch of the Dakotas. Finally, the Northeast will peak in early October for the most part. New Jersey, Connecticut, Rhode Island, southern New York (including New York City and Central Park), and southern Massachusetts will peak in late October. Northern New England peaks in late September through early October. The city will offer great views, like Manhattan's Central Park, or visit Long Island for a fall experience including pumpkin patches, coastal retreats and sandy beaches. 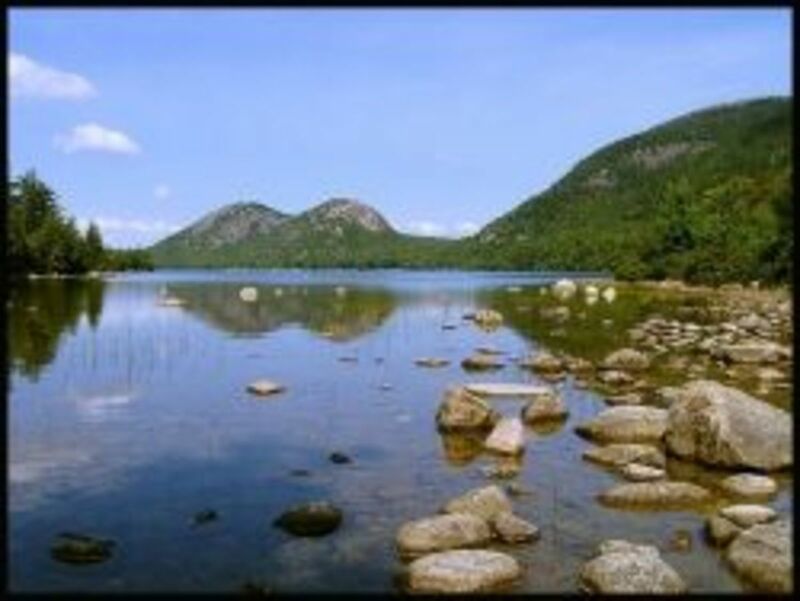 Connecticut will offer beautiful rolling hills along the Connecticut River Valley, and Rhode Island's rocky coast will provide stark difference to the inland foliage. The Blue Hills of Massachusetts offer grand views of the city of Boston and hillside walks. This area will peak in late October, along with most of the rest of coastal Massachusetts. 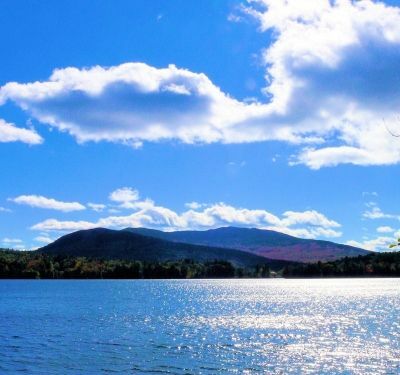 The Hudson River Valley of New York and the Berkshire Mountains of Western Massachusetts will peak in mid-October. These areas offer unmatched riverside viewpoints, brilliant foliage, rough rock-filled mountains and quaint village towns. Camping, hiking, fishing, and shopping will be abundant. Be sure to bring your camera! Upstate New York, southern Vermont, southern New Hampshire and most of Maine will exhibit peak foliage color in early October. The Green Mountains of Vermont and the White Mountain region of New Hampshire are argued as the best in the country in terms of fall leaf color display. Small towns along the ride in Vermont and New Hampshire will give you the ultimate autumn experience. Try taking a ski-lift up the mountains in middle Vermont, and you'll see babbling brooks, white birch with fire-intensity oranges and yellows against the tall pines. Maine as well, will offer unparalleled vistas of the coastline paired with the foliage, however it might be more intense inland. Northern Vermont and New Hampshire will peak earlier, in the last week or so of September. Live cams of Pennsylvania fall foliage (unless it's not fall!). 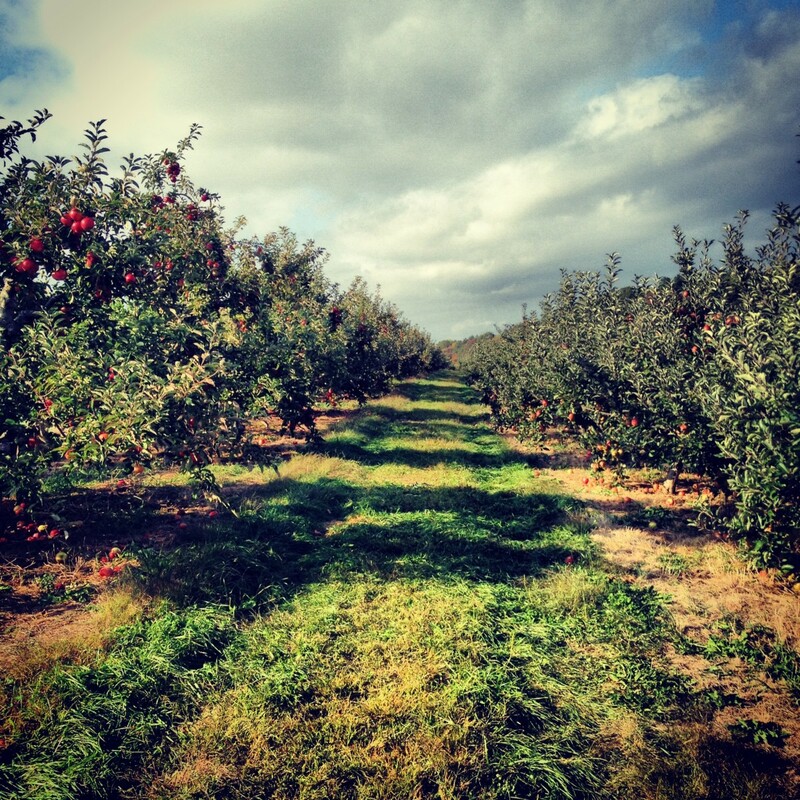 Things to do, see, and go to in New Jersey during peak foliage time. New York has some of the best foliage of any state, and some amazing highways and backroads to see it on. It's a small state, but the foliage here is amongst the best. Coastal fall foliage can be some of the most interesting autumn has to offer, but may come later in the season, like on RI's coast. From the Berkshires to Cape Cod, the landscape varies greatly in Massachusetts, and the peak leaf times also vary just as much. Know ahead what's the best to see in this state. Watch out! Crowds are humongous in this small state, so you might want to book way ahead. 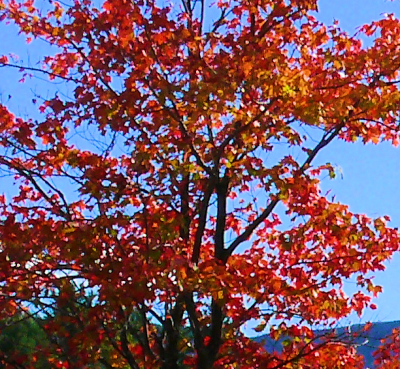 Perhaps the best foliage anywhere in the country can be found in Vermont. Live foliage updates and more. Go west for the best fall foliage in Maine, not to the coast! This could be the best state to view foliage in the USA. Presented here are five incredible routes which you shouldn't miss out on. Where have you been lately that the foliage was outstanding? Share it with the world here! Don't risk not having a room reserved for you. Buy a timeshare at a discount and you can save a load of money every year and be guaranteed a place to stay! Have you seen some great foliage lately? My favorite place to enjoy the fall colors is my garden. It turns so beautiful just before everything collapses and goes to sleep for the winter. Beautiful! Nice lens. I think you've done a very good job at giving a countr roundabout. I've been to many of these places and indeed they are beautiful! Awesome! Awesome! Awesome lens! There's nothing better than taking a fall scenic drive and you've created a thorough resource. Nice job! this is a paradise for picture lovers, thanks! Colors here in southern Michigan are just starting to change. Looking forward to the autumn. It is my favorite season! Brown County Indiana is a great place to go see fall foliage for those of us around the Mason-Dixon line! They are known to draw people in from all around this time of year. Great lens, beautiful pictures. I am definitely looking forward to Fall! Wow, this is a gorgeous lens! I too am going to come back to enjoy it again. Great lens. I am from the southwest. Driving through Pennsylvania a few years ago in the fall was one of the most spectacular experiences I have ever had. Nice lens. Beautiful photos. Enjoyed my stroll around America in the fall. Thanks for sharing. Blessed. We live in Michigan, which is usually a great place for fall foliage, but because of the excessive heat and lack of rain we had during the summer, our maple trees are stressed, and showing more dried brown coloration than colorful reds and oranges. I hope next year will be better. We're having an earlier than usual fall foliage peak due to the drought. :( But, we still have some of the best around, here in Wisconsin! Enjoyed the photos and resources in your lens. Autumn is the best! I grew up in the mountains of Kentucky, in the most South Eastern portion of the state where the highest peaks are. From any window or front porch the picture looked like fall painting rather than a simple window. I live further north now and not so much in the mountains but fall to me will always be the beautiful display of colors on the mountainside. I still love to make the drive home during the fall. It's the only time of year I don't mind the drive. Awesome Lens! Thanks for sharing such beautiful pictures. I will never forget traveling to Grandfather Mountain in North Carolina in the fall. It was amazing. Now I know quite a few other cool places to visit thanks to you! I Love the Blue Ridge Parkway - I try to make that drive each year. Thanks for sharing. @anonymous: Thanks Tipi! #8 is my all time high here on Squidoo. I'm hoping it goes even higher, but I'm happy with #8 if not. Thanks for stopping by! Cool Lens about my favorite time of year. Yes, just right here in our backyard. We're surrounded with Japanese Maple,Trident Maple that are really great fall foliage. A lot of people come down to our area to photograph them all. Great lens! Thanks for sharing it. These are some amazing places! I would love to see them all. I currently live in the midwest and we had great folage last fall. Looking forward to this fall season! Not in a while. Last year most of the leaves were blown off before they could change color. Sleeping Bear Dunes National Lakeshore is my favorite fall foliage hike. I'm in the Midwest and we have some really pretty fall foliage, but I would love to get to the New England area one day. For me, nothing tops Vermont foliage. With the crisp mountain hair, dense trees, and just the majesty of the state, you can't beat the bright foliage when the time comes. 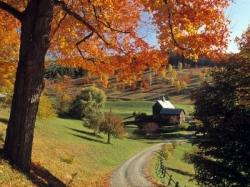 Go to the Manchester, Vermont area in October. You'll love it!!! I've only see fall foliage in AZ, CA, OR and WA. Someday I hope to make it to New England. *lovely photos here! Wonderful places. I remember my last visit to Pacific Northwest &amp; California, the experience was just awesome! I'd like to visit all of these sites. Just gorgeous. I really want to go back to New England. Blessed. I adore fall foliage and I'm lucky enough to live in New England, where we get some fabulous color displays! I've blessed this excellent lens. I have a Japanese Red Maple in my front yard along with lots more trees, so I just look out my window. Parts of Northern New Jersey have great fall foliage. Blessed! I'm from Michigan, and I can't wait until the colors arrive. It is the most beautiful time of year! Fall (or Autumn as we call it over here in the UK) is my favourite time of the year. Even living in London, there is some beautiful foliage to be seen. A beautiful lens - thank you! New England fall colors are magnificent. Very interesting! And such gorgeous fall pix! Thank you. Thanks for the advice on where to go and when. I have been to a few of these places before but only in winter and spring, never autumn. Not yet this season, but it's not far behind us. Beautiful pictures! Blessed by a Squid Angel! Back to bless this one, it's still linked to my colorful fall foliage in new jersey page. I hope you have a beautiful fall. Wonderful lens. I love going for a drive on a fall weekend and marvelling at the beautiful colors here in the northeast. Blessed and pinned to my SquidAngel board. Really enjoyed readin this, great idea! I really like not only your pictures, but also also the useful links and unique info! Angel Blessings to you! I love the Smoky Mountains in the fall, but I live near the Tennessee River Valley which is surrounded by mountains, and it is gorgeous here too! The Tennessee Aquarium offers a wonderful cruise on the River Gorge Explorer to view the wonderful fall colors. Wow! I wish I could visit all these spots. Great lens with lots of helpful information for fall foiliage seekers. Blessed. I do think the Northeast fall is supreme, but you do tempt me to broaden my horizons. The Midwest is also very beautiful. Blessings. Stopped by to give a blessing to this beautiful lens. You have some beautiful images. I loved driving over the Cascades in the fall. The foliage was just beautiful! Blessed! Love the photos and the overall creativeness of your Lens! Beautiful images! I've always wanted to see the smokey mountains. Here's a little secret. A good place to visit fall foliage is at a local cultural garden, such as a Japanese Garden. The Japanese Red Maple trees are unprecedented in their flaming, red colors! Not just for New England - but my favourite place (next to Canada eh) is Vermont. Great pics! Suggestions... Perhaps you should rename the segment titled "Pacific Northwest &amp; California" to something like "Northern California". Other than naming Washington and Oregon, you spent the entire segment detailing the NorCal region. Maybe a segment on the Mid-Atlantic states would be a good addition. The whole VA/MD/PA/WV region is AWESOME in the fall. And I'm not sure I'd put the Appalachian Trail in the Midwest. That's definitely an Eastern trail. great autumn lens you have there, definitely planning an autumn roadtrip in the usa sometime soon! I live in Minnesota... and the North Shore Drive is wonderful in the fall months.. along Lake Superior, from Duluth to Canada. Thank you for this beautiful lens! I would love to check out some of these spots! You've got some beautiful pictures here. nice and easy reading and viewing, pretty and beautiful and therefore you got a 'thumbs up' from this reader. It's beautiful here in Ohio, but I would love to go on a fall foliage tour in another part of the country. This is a wonderful resource. Thanks for putting this together. Wonderful lens full of great fall places to explore! My community has a system of public parks designed by Fredrick Law Olmsted and during the fall the foliage burst with colors of orange, yellow, crimson, brown, tan. Thanks for adding the Foliage Map! The most beautiful place I've been for foliage is Arlington VT, near where Norman Rockwell lived. In the valley of the mountains at a curve you are surrounded by colorful wooded mountains on all four sides. It is absolutely gorgeous. I miss the fall here in Arizona! Blessed! I have always wanted to visit New England in the fall...still haven't made it. It's on my bucket list. You have some beautiful photos here. Great Lens! You need to also add Yosemite National Park to the survey. Very nice in the fall. This was such a beautiful lens! Fall is one of my top favorite seasons, it's so pretty with all the trees and leaves. Blessed by a squid angel! I wish i can start packing! Lovely lens. Some maps include West Virginia as part of the Northeast. I love to take fall color treks. I've seen some spectacular foliage in New England, the Smoky Mountains, the Midwest, and in the Rocky Mountains. Beauty is everywhere if we have eyes to see it. Thanks for these resources. Appreciated! Southern Indiana with it's state forests and rolling hills is beautiful - give it about 10 more days. This is a great lens, thank you for all the charts and photos. Very informative. Blessings. Independence Pass from Aspen, Colorado east. Just gorgeous! I live in Colorful Colorado and we have a wonderful fall season in the high country.